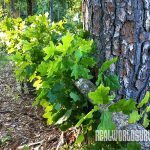 Here’s how to give nature a nudge to create bedding cover and hunting hot spots in your neck of the woods. 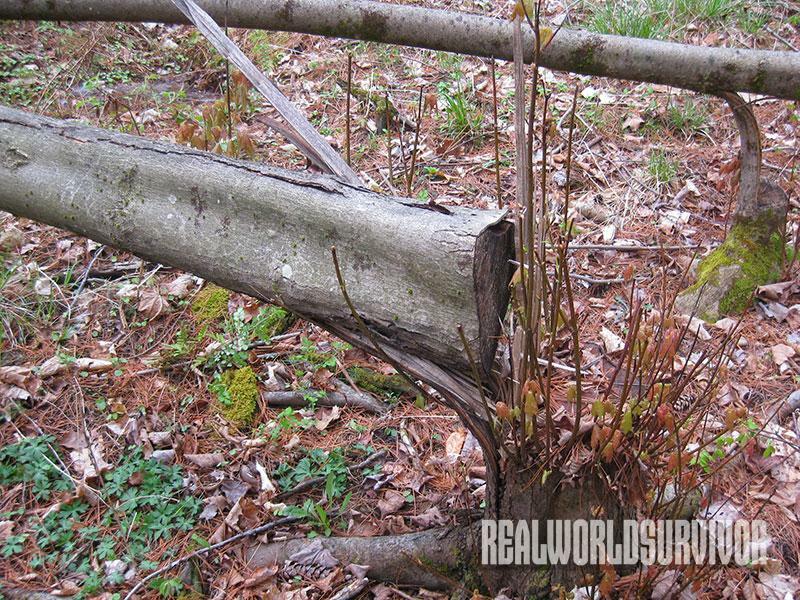 Chainsawing partially through a tree trunk creates a “hinge” when the tree is tipped. The tree remains alive for several years and wildlife benefit from increased forage and bedding cover. 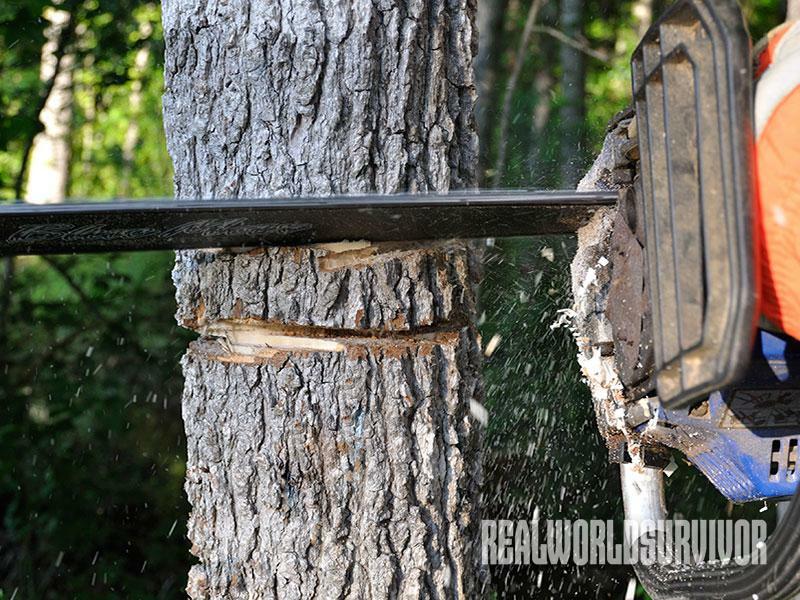 Position the saw for a downward-angled cut opposite of the desired fall direction and saw about halfway through or until the trunk can be tipped. 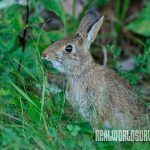 Rabbits, quail and other birds and small game benefit from the enhanced habitat and food supply created by hinge cutting. 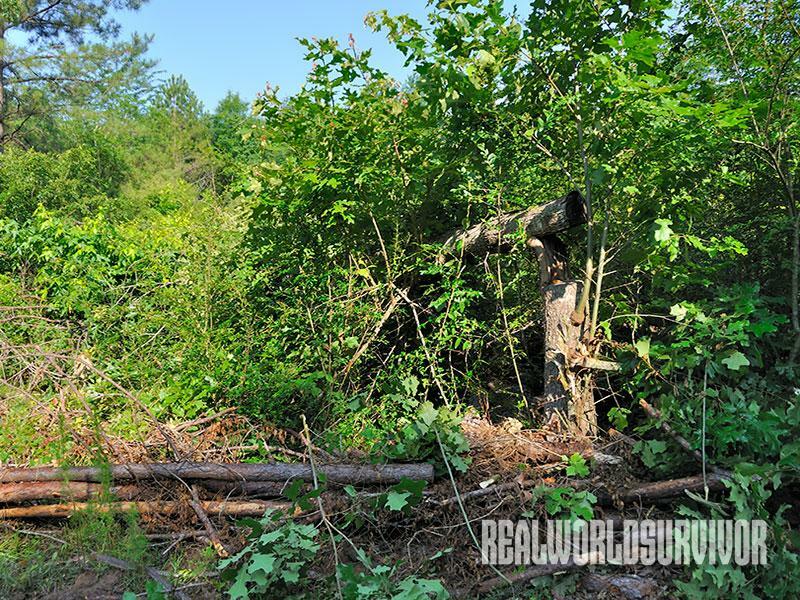 Improve habitats for deer and other wildlife on your property with a chainsaw and some spare time. When creating bedding cover for deer, bigger is better. The area should resemble storm damage when you finish. Look for natural bedding areas to hinge cut, such as near ridge tops and south-facing slopes. Hinge cuts in the 3- to 4-foot range are recommended. 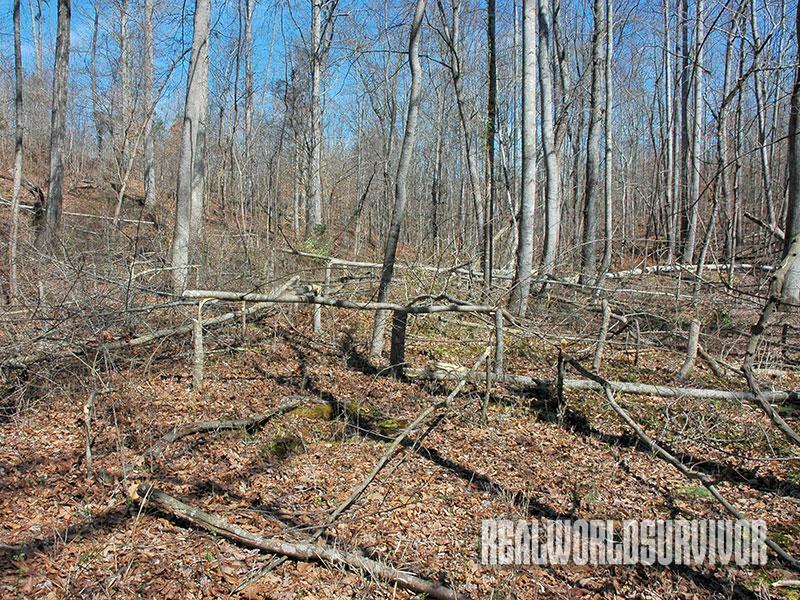 Edge feathering forms screening along fields, food plots or timber edges. 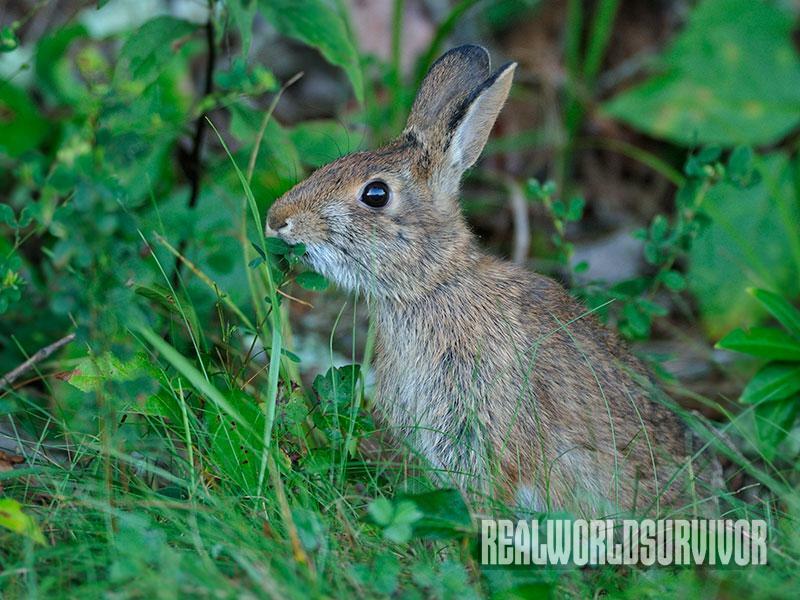 Sunlight increases plant growth and cover that attract deer, birds, rabbits and other wildlife. Trees too large to be hinged safely should be girdled by cutting two rings through the cambium layer and left standing to die. Hinge cuts of 3 to 4 feet are safe to cut and provide adequate space for most any large mammal. Find one or more trees that can then be hinged over beside the first, enlarging the canopy opening. 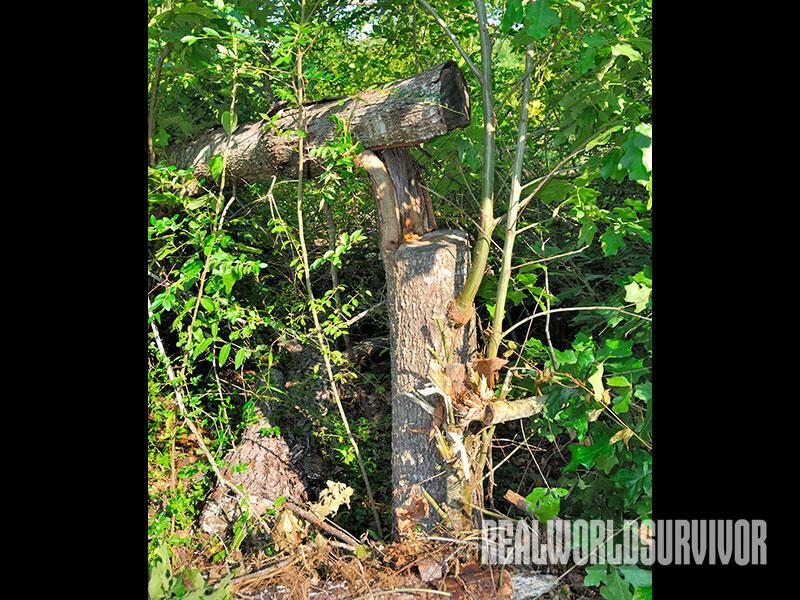 Hinge cutting is an effective and economical habitat management tool that can be implemented on nearly any size property. It requires very little expense other than a chainsaw and some effort. 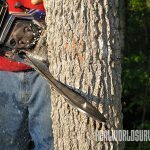 The term “hinge cutting” describes the process of chainsawing partially through a tree trunk to create a “hinge” that allows the tree to remain connected and alive when tipped over. Generally, these trees survive for several years. With forethought and planning, hinge-cut areas enhance wildlife viewing and/or hunting opportunities. 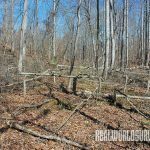 Typically, land managers and deer hunters use the method to create bedding cover and easily accessible forage for deer. 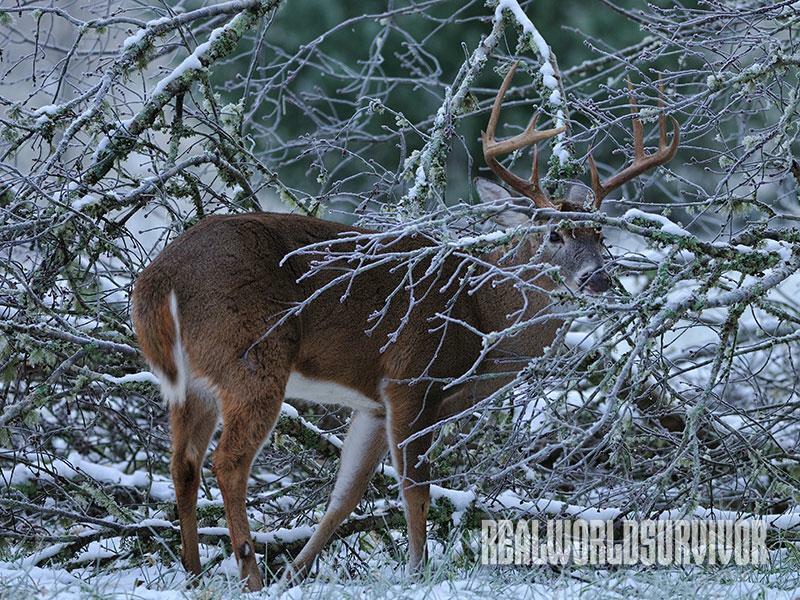 The living brush piles sprout new growth within easy reach, creating the whitetail version of a bed and breakfast. The following hinge-cutting techniques, though referencing deer, can be useful to any wildlife enthusiast or birder’s efforts. They attract a variety of wildlife such as songbirds, quail, turkeys, rabbits and other mammals. Birds tend to loaf and roost in secure, brushy downed tops, often dropping seeds that sprout and add forage and diversity to the area. The key to proper placement of hinge-cut areas starts with observing the natural travel patterns of wildlife on your land. 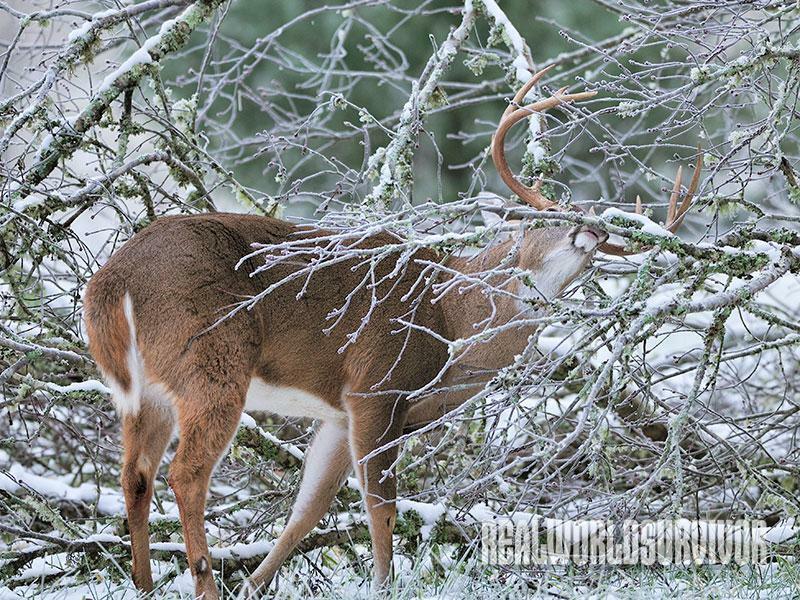 Utilize trail cameras to give you extra “eyes” in the field. Lindsay Thomas, an editor with the Quality Deer Management Association (QDMA), practices extensive hinge-cutting and shared his thoughts. 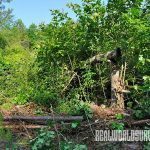 “It is a great way to turn otherwise low-value trees deer will browse, such as tulip poplar, maple and sweet gum, to a productive use. 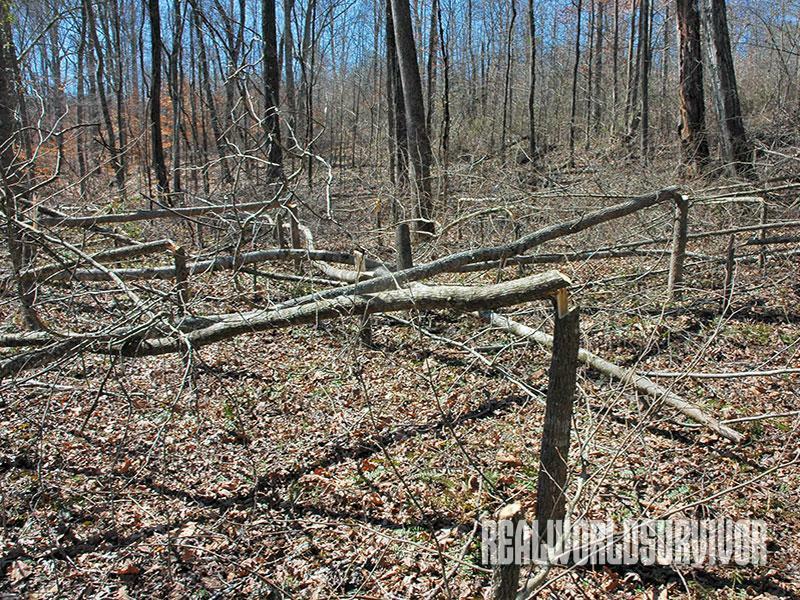 Strategic hinge cutting can create bedding areas, thicken or screen sanctuaries, screen the edges of food plots or hunter-access routes, block trails or other travel routes to manipulate deer movements to favor hunting, and more,” said Thomas. Target tree species will vary from region to region. 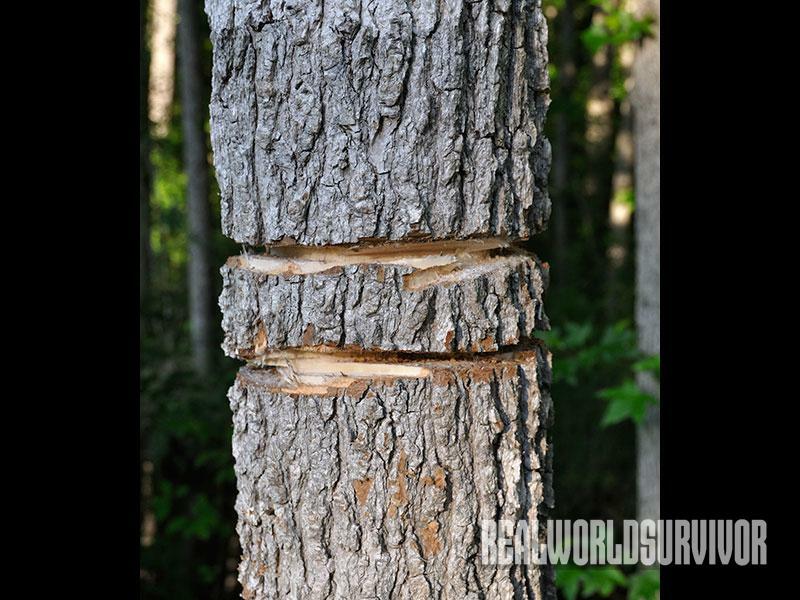 Use a tree reference guide and walk your property with a local forester for assistance in identifying low-value trees and areas suitable for hinge cutting. 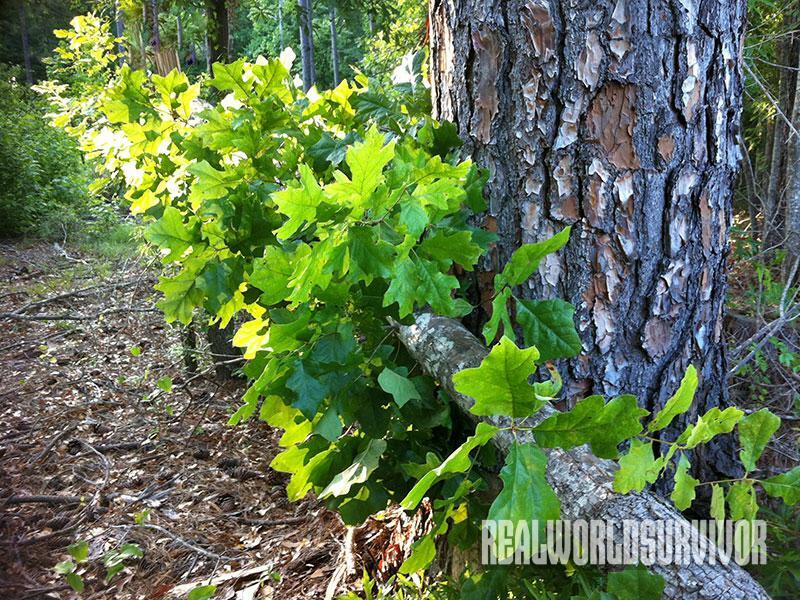 Mark the high-value trees (typically red and white oaks) to avoid damaging desirable timber. Check with the Natural Resources Conservation Service (NRCS) to see if your project qualifies for cost share for Timber Stand Improvement (TSI). Statistics show that chainsaws can, and do, injure and kill. Here’s the no-brainer safety list. Maintain your saw in good running condition. Wear protective chaps, helmet, safety glasses, hearing protection, gloves and preferably steel-toed boots. Most hinge cutting is done during the winter and early spring months so any discomfort from wearing safety gear is minimized. 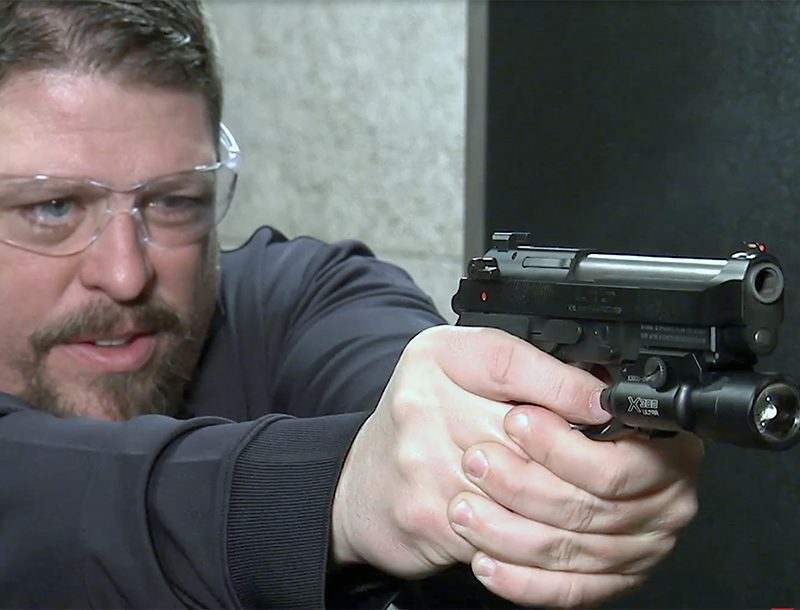 Choosing comfort over safety can cost you, or someone else, a limb or life. Hinge cut with a partner if possible. Carry a cell phone on your person. Be prepared for a pinched saw bar. 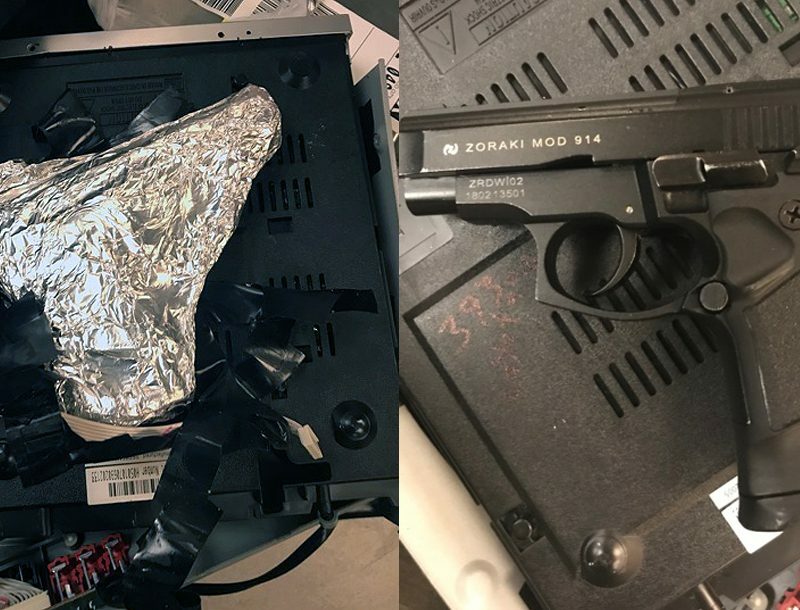 It will happen and can be dangerous. 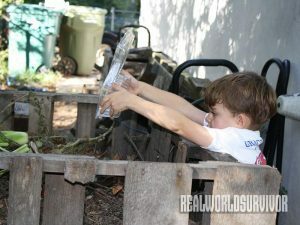 Pack a rope or come-along for situations when the tree can’t be easily tipped to release the pressure. Position the come-along beyond the fall area and tighten it until the saw can be removed, then finish pulling the tree over. 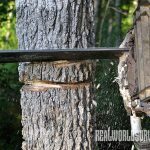 There are several points to consider before powering up the saw. 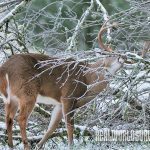 Bigger is better when creating safe and secure bedding cover for deer, though it’s not an absolute requirement. Look for natural bedding areas. For instance, in open timber, deer prefer cover near ridge tops and south-facing slopes. Once you’ve created an opening, look for trees on the edges that have a natural lean in the desired fall direction. Avoid trees that will hang up on other trees when cut; they will create an unsafe situation. 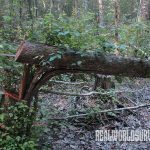 Take the time to visualize how trees will fall when creating the opening so “leaners” can be avoided. Target trees that are less than 1 foot in diameter. 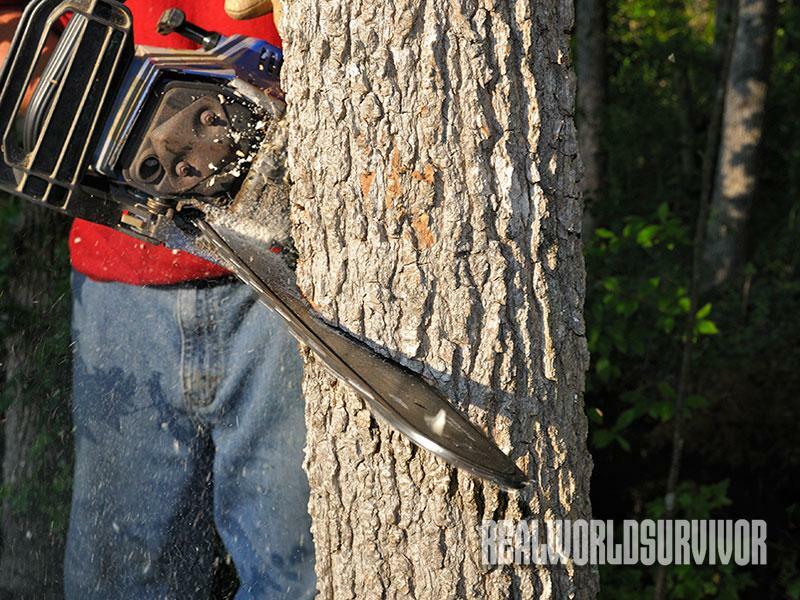 Position the saw for a downward-angled cut opposite of the desired fall direction, and saw about halfway through or until the trunk can be tipped. The area should look like a small tornado struck when you’re finished. There is debate on hinge-cut height, particularly for bedding cover. According to Lindsay Thomas, deer are surprisingly short animals and few mature whitetail bucks reach 3.5 feet at the shoulder. “I think we would be surprised to find that even the biggest Midwestern buck would fit just fine under a roof no higher than a man’s navel, antlers and all,” said Thomas. Hinge cuts of 3 to 4 feet are safe to cut and provide adequate space for most any large mammal. Remember, no matter what you are trying to create with your cut, you have the safest and most control over the saw when it’s held in a comfortable position somewhere between your knees and below your chest. Hinging larger trees is dangerous. 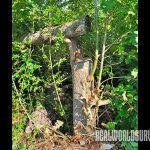 Instead, one option is to drop the tree with a felling cut, which is cutting a wedge-shaped gap on one side of its trunk. Girdling, however, is the best option. 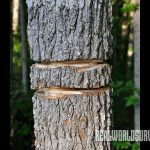 Thomas recommends scoring a ring completely around the trunk at a comfortable and safe cutting height, cutting completely through the cambium layer under the bark. Cut two rings a couple of inches apart. The tree will eventually die, allowing sunlight into the hinge-cut area. As an added benefit, the dead “snag” creates habitat for bark-feeding and cavity-nesting birds such as woodpeckers, owls, wood ducks and flickers. Hinged bedding areas also provide increased native browsing in two forms. First, from the tree itself with accessible new sprouts and, secondly, from dormant species such as blackberries and honeysuckle that sprout when sunlight is introduced. Edge feathering describes several techniques that employ hinge cutting along a timber edge to enhance forage, create screening or manipulate travel patterns. Hinge trees on timber edges to create excellent small game cover and to enhance quail and bird habitats. The increased plant growth at a low level enhances wildlife viewing and hunting opportunities. Add fertilizer to hinge-cut areas, and where blackberries are present you’ll have easy picking of the fruits of your labor. The thickened edge forms a screen effect when strategically placed. 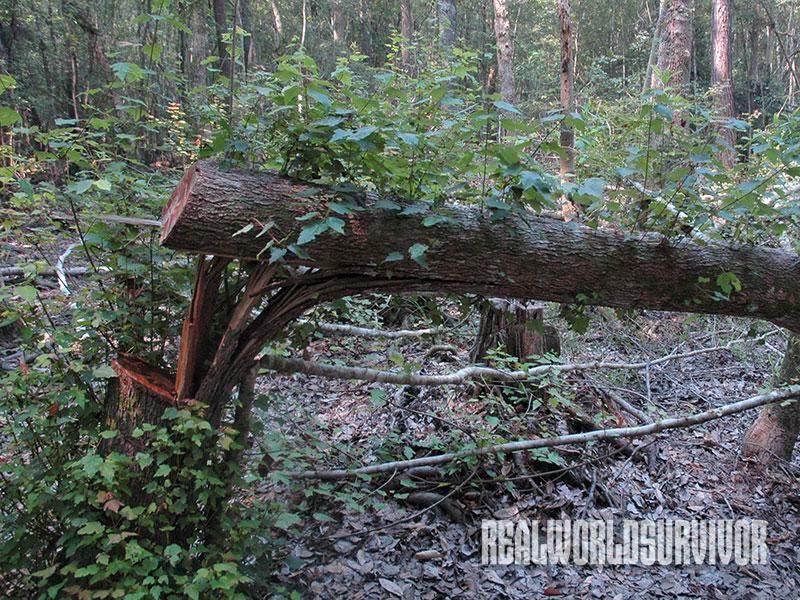 Hunters can use this edge for a stand approach and to block entrance trails to food plots.